Questions from dairy farmers in relation to milk fat levels are frequent during May, according to Teagasc. It says the common assumption is that low milk fat is caused by ‘very lush grass’ not having enough fibre. This will mean low rumen pH and acidosis – cows loose in the dung is taken as evidence! The stock answers are usually: ‘feed silage/straw at milking’ or ‘feed a rumen buffer’. However, Teagasc says responses to these measures are variable in practice. It says cows in most cases are milking very well, have good appetites and look otherwise healthy. So is there a problem at all? Teagasc says it is certainly the case that low milk fat on an indoor diet is cause for concern. It indicates rumen acidosis driven by high starch content and insufficient fibre intake, which causes significant health issues. On the other hand, Teagasc says low milk fat percentage as an indicator of rumen health problems does not directly translate for a grazing context. It says this is because the mechanism for reduced milk fat in grazing cows is somewhat different. 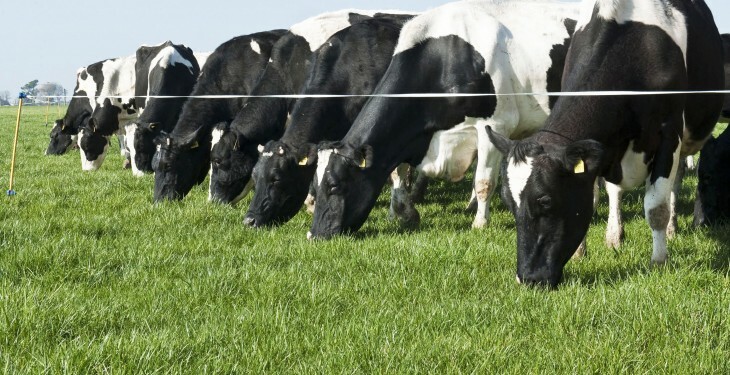 It is caused by fatty acids (conjugated linoleic acid; CLA) derived from rumen metabolism of grass – the change to milk fat production occurs within the udder itself, not in the rumen. 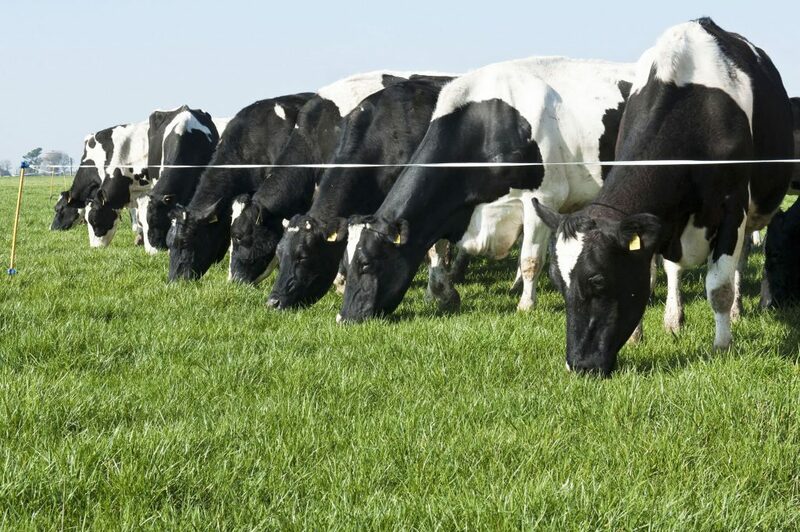 High quality second rotation grass increases the effect, and with cows also at peak yield the drop in milk fat can be quite noticeable. For this reason, Teagasc says it is a false assumption that rumen pH must be lower if milk fat is low. Indeed, it says studies have shown rumen pH to be similar for herds at 3.90% fat and 3.45% milk fat – differences were due to lipid content, not fibre in the diet. feeding slower degradability concentrate ingredients (maize preferred to wheat, hulls/beet pulp instead of citrus). When all of these conditions are met and milk fat still is low, it is likely a CLA/grass composition effect. Teagasc advises farmers to continue to meet the points listed above. It says experience has shown that such cases resolve themselves in two to three weeks when rumen conditions adapt and/or grass composition changes but cows remain healthy throughout.